Firstly this review needs to begin with a BIG apology. Neon & Nobo (and a few other brands) kindly sent us some goodies for review. Unfortunately mum had a fracture just after they were sent and then went to see her surgeon who has put her on the waiting list for her femur operation, so we have spent lots of time at the hospital. That coupled with having a new adapted car, and Lottie having a lump on her tail has meant mummy has been rushed off her wheels! We are slowing getting round to them though! Anyway back to the review. We were so excited to discover we were one of the first doggie blogger to receive the brand new treats from Neoh & Nobo. Who are Neoh and Nobo? 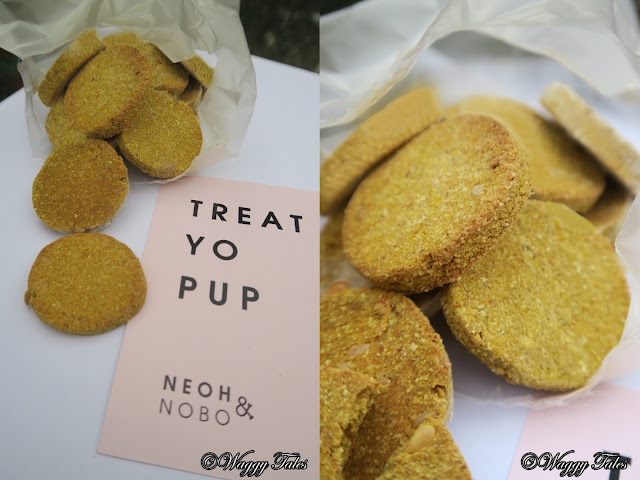 Launched in 2017 Neoh & Nobo are a brand new company, they are a small team of conscious dog owners, where natural comes first, so they aspired to pursue a product that would satisfy mother nature and provide beneficial in maintaining a healthy well-being for dogs. Simplicity - using simple recipes means they can focus on the quality of their products. Naturalness - Natural is a must for Neoh & Nobo, everything used is in its purest form and where possible is sourced locally. 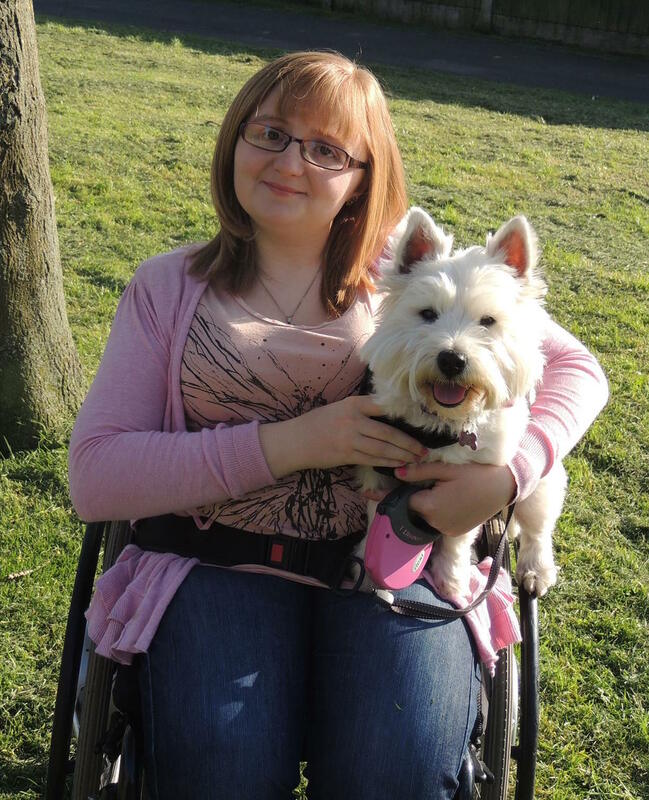 You and Your Pup - nothing beats hand on experiences, and with Neoh & Nobo being a team of dog owners they know what you and pup really care about. What we did we receive? 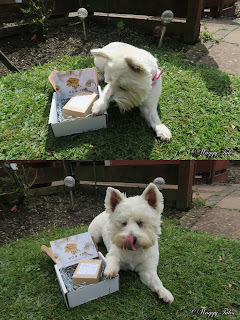 In Lottie's lovely packaged parcel was a box of their 100g basic range collection in the Papaya and Pumpkin seed flavour. Their 100g boxed are priced at £3.49, which we think is great value for money, especially seen as they are handmade! They offer three varieties of their basic collection - Papaya and Pumpkin, Banana and Turmeric and Butternut and Vanilla and Black Bean. Also on their website they have a big biscuit bone and some yummy doggie peanut butter. 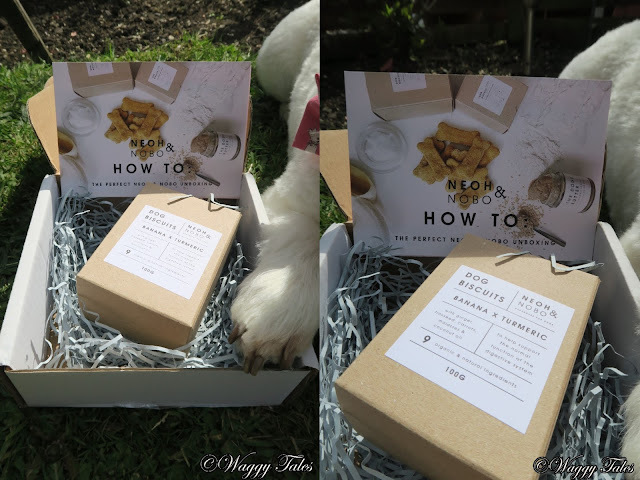 Well first of all we would live to mention the packaging - the clean and simple design is very much welcomed in the busy world of vibrant dog treats packaging. Second (according to Lottie) is the taste, I will be honest when we received the treats I was very skeptical that Lottie would ever eat Papaya and Pumpkin seeds but I couldn't quite believe my eyes! She was begging me more, I even had to put them in a higher cupboard so that she couldn't smell them! Now if your anything like me you will only ever feed your pooch something that looks like what it says on the tin. Well, these biscuits definitely fulfill that and more! 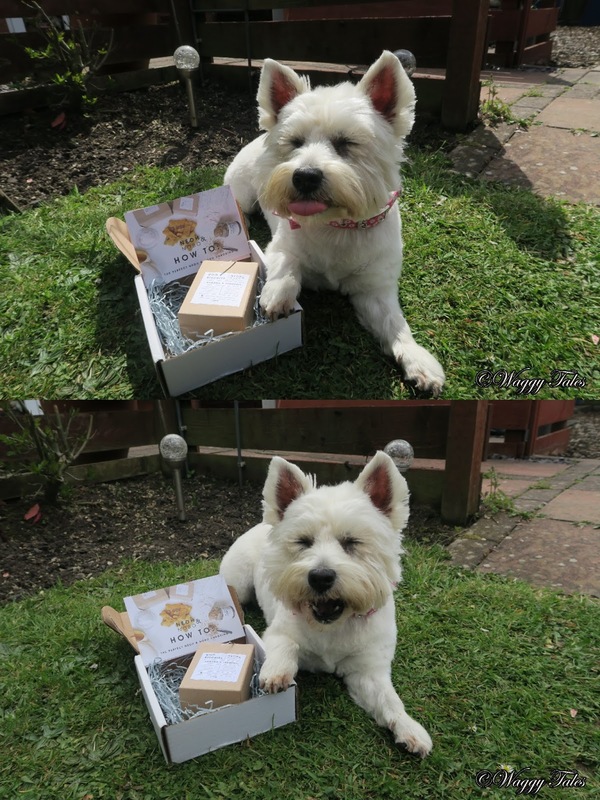 They are a brilliant size for a pooch of Lottie size, and almost look good enough to eat! When a friend came round and they were on the kitchen counter, she said 'oh you are such a good doggie mum, making handmade biscuit'. This defintely shows you can tell they are handmade and with that comes the added quality. We think there great. It also lovely to find a small family run business that sells great products. They offer something different to the doggie market which is exactly what a lot of dog owners are looking for. They are reasonable priced, handmade and more important Lottie thinks they taste great. You can check out Neoh & Nobo here - https://www.neohandnobo.com and on Facebook and Twitter and Instagram.